This team here is nothing short of greatness. We have a wide array of multi-talented and diverse designers, developers, videographers, and employees at Jarbly. We are here to serve your needs and we will do everything in our power to make sure we deliver fantastic quality work. We love unique projects and we have a passion for building amazing things. Our past work and amazing relationships are just scratching the surface of the imprint we want to make in the digital landscape. We hope you choose to work with us. 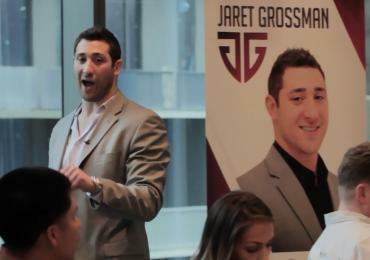 As a result of my business background, I’ve helped people from all walks of life including C-level executives, pro athletes, web developers, students, sales managers, farmers, dentists, mechanics, and everything in between. It doesn’t matter what industry you are in, you need an online presence and a personal brand. Let’s work together and transform your business. Partner with us to bring your idea into fruition in the digital realm, so you can start monetizing right away on proven practices that work. We will take your idea to the next level. Our mission at Jarbly is to create several big brands. As an investor and partner, you’re looking for things that will hit it big. It’s important to have a good idea and a great system. With Muscle Prodigy, we built a system that generated 40k+ Customers through the concept of a funnel. We built a Two Comma Club funnel that brought in over 330k Email Opt-Ins. We also are purveyors of inspirational content such as 5 Million streams on iTunes and Spotify. Now we have built several ventures that are ready to go to the next level.